Garrie cited that the recent banners prank reflects a dangerous and irresponsible policy on the part of the president’s opponents who seek open hostility against China. Few days ago, banners reading “welcome to The Philippines, province of China” were found hanging in several roads of Metro Manila, on the exact second year anniversary of a UN arbitration ruling in favor of The Philippines regarding South China Sea. “It [the Philippines] has never been [a] part of China…not now, not ever”. Xiao added. Garrie pointed out that it could be a great loss should China decides to outcast the Philippines. He was also quick to question whether the Philippines could withstand being hostile to China that even economic giant like the United States might be also at risk of China’s protectionism stance. Then the geo-political expert noted that statements from the opposition Liberal Party member Senator Antonio Trillanes IV which suggests that Philippines should ready its military for a possible confrontation with China. Even the foreign political analyst like Garrie knew that the Philippine military is still under-equipped at present, thus, it will be very difficult to take down China. “Chinese President Xi and Philippine President Duterte have shown a commitment to a partnership that can overcome any lingering disagreements. The fact that some in the Philippine opposition have compared the prospect of pan-Asian peace through prosperity to some kind of “surrender” belies the dangerous ignorance which underscores the Liberal political program (or lack thereof).” Garrie added. “A war with China would of course be literal homicide and the blood of the Filipinos shed in such a conflict would be on the hands of those who provoked such a conflict. 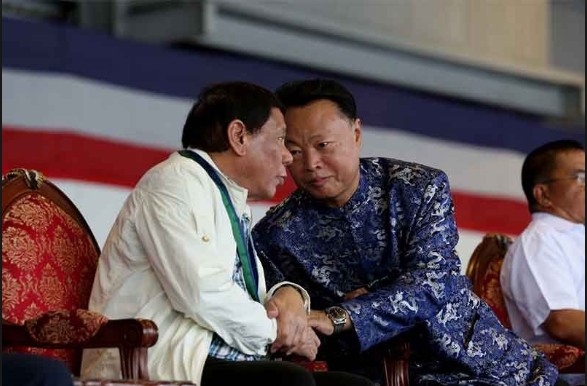 At present it is Duterte’s opposition who seek such a provocation while Duterte has said on multiple occasions that China is a partner and a friend whose relationship with The Philippines ought to grow larger.” The foreign analyst added.